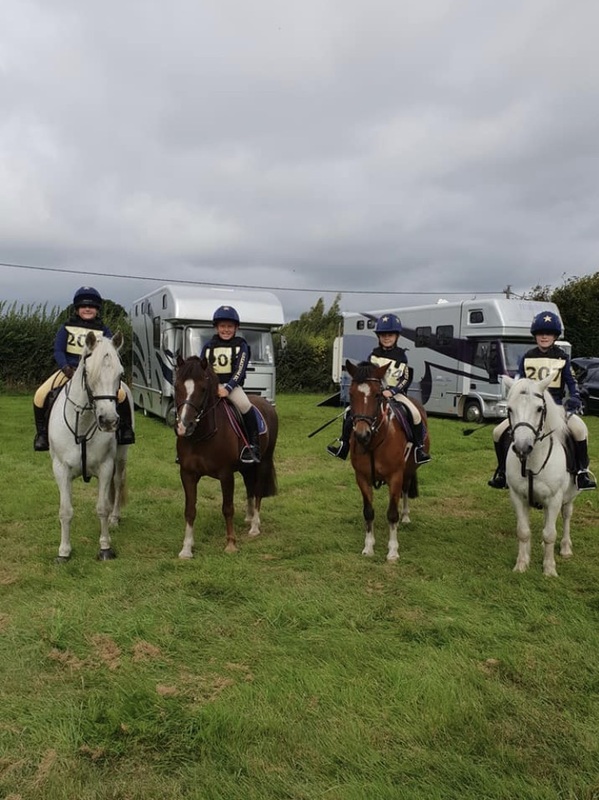 Well done to Team G.E.C looking super smart in our new team colours, on the final stage of their Tetrathalon today. 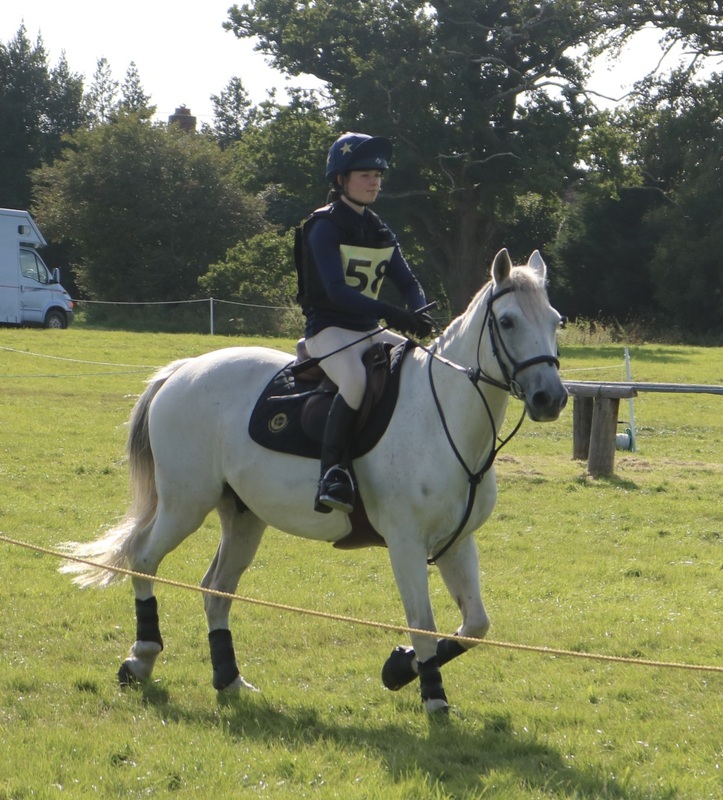 Cracking XC rounds saw our “Munchkin” team climb up the ranks to finish 3rd. 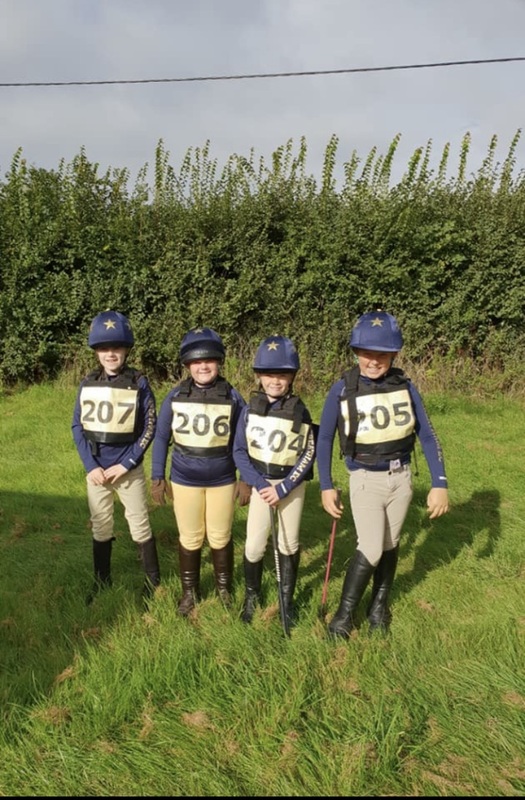 We are very proud of our brave young team at our first Tet competition. 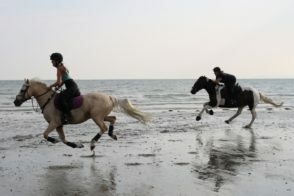 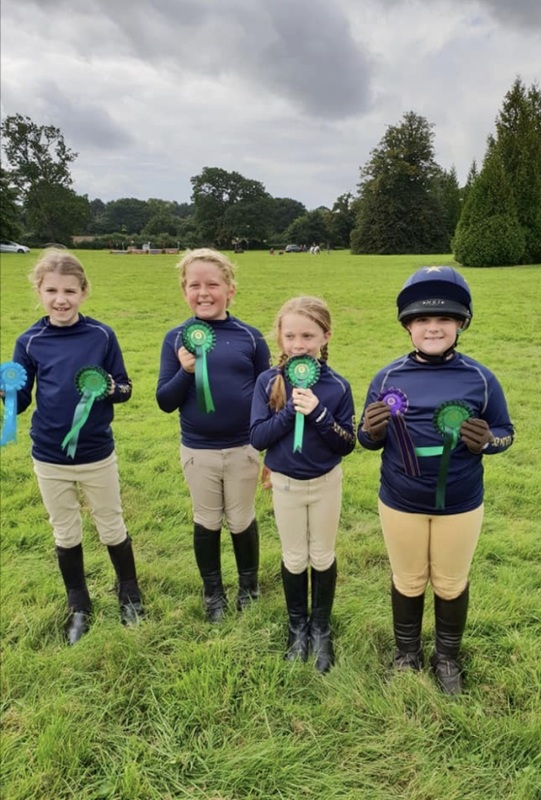 Very well done Bethy (William), Benjy (Tonka), Orla (Dinky) and Sienna (Rocky). 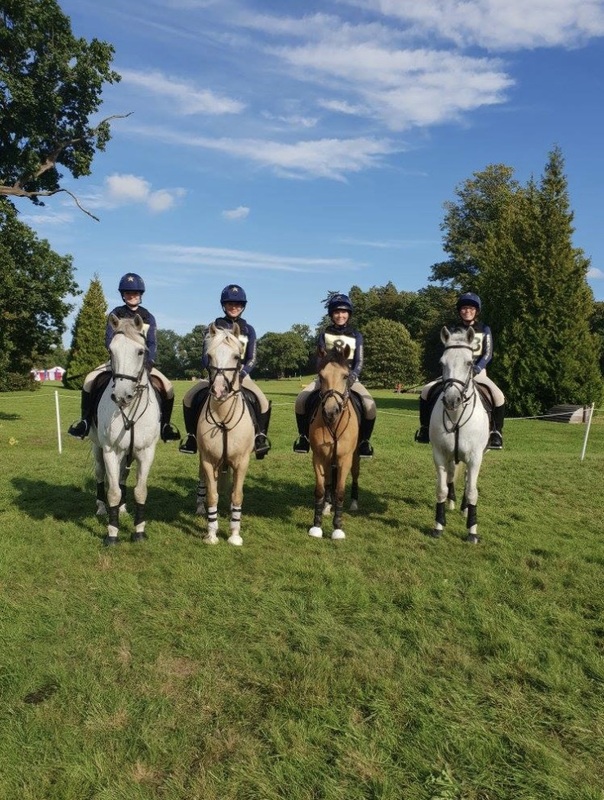 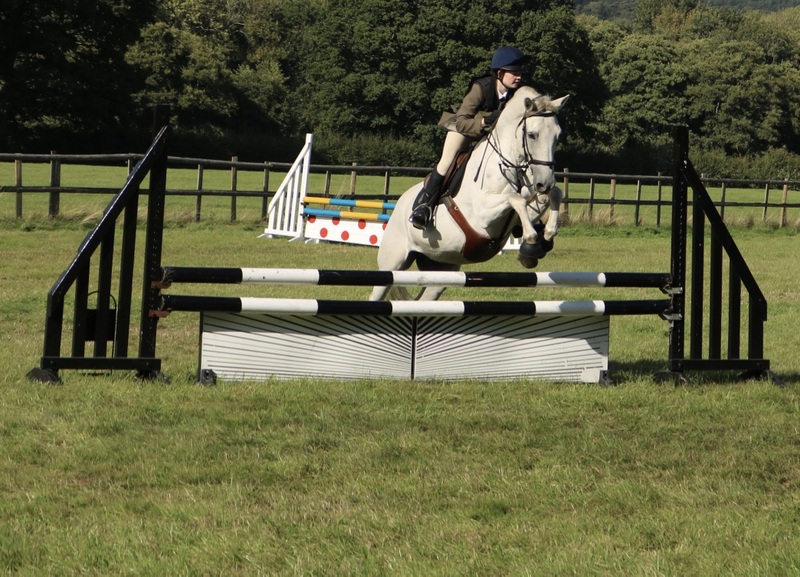 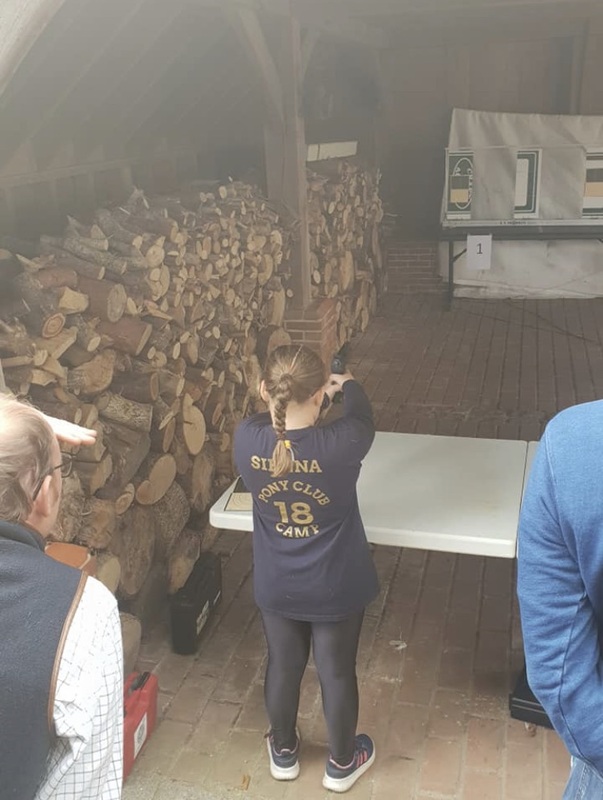 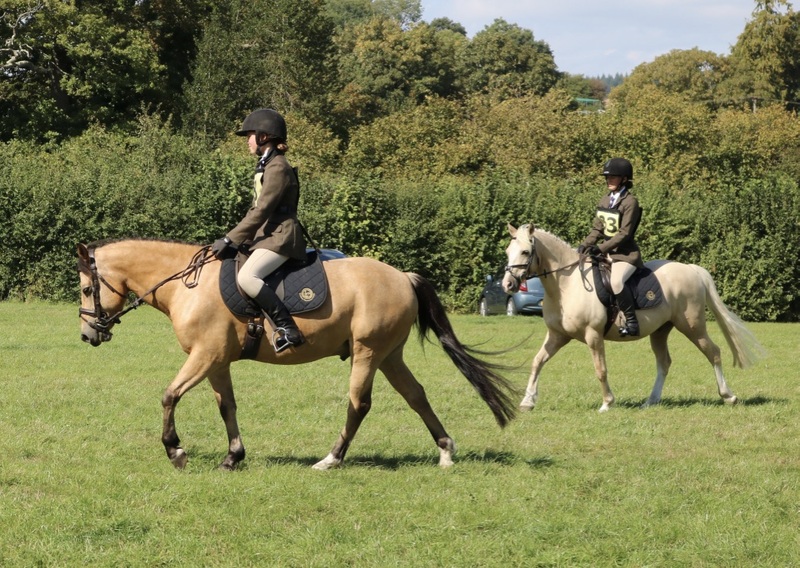 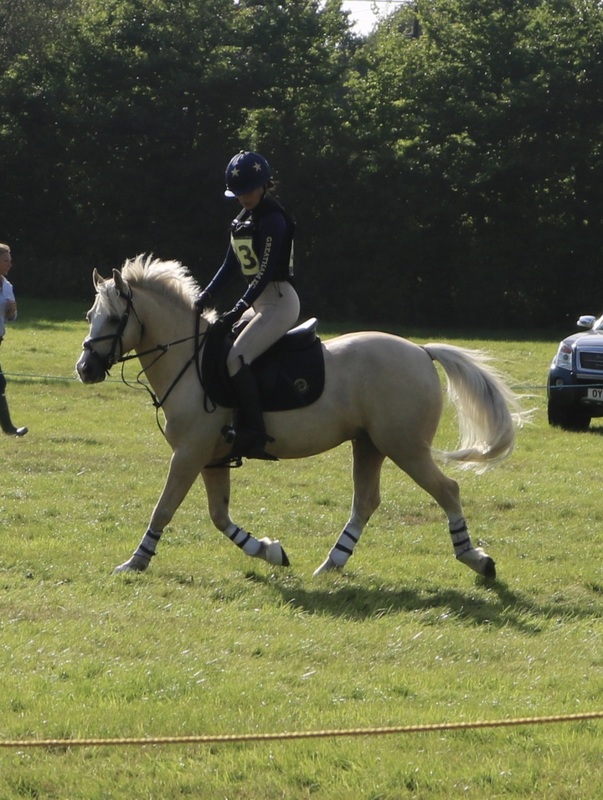 We also had our senior team out in action yesterday, Paige and Rio, Katie and Caramac, Georgie and Cuso and Lizzy and Albie, took part in the Hampshire Hunt Pony Club one day event at Fairoak. 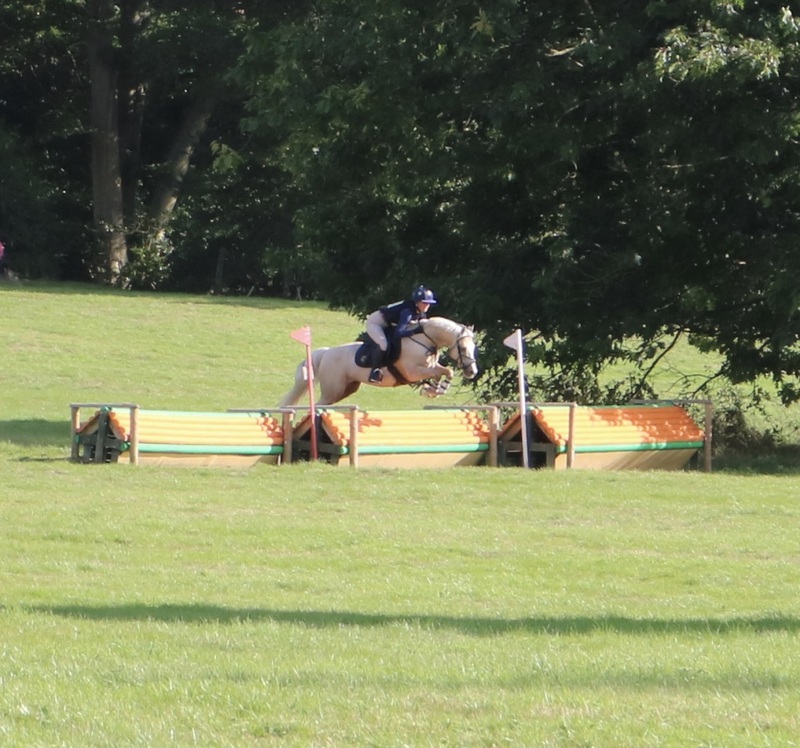 It wasn’t quite the teams day with a very testing cross country course causing a couple of problems. 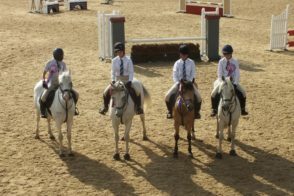 There was some individual success however with Georgie and Cuso taking 4th place and Katie and Caramac taking 5th. 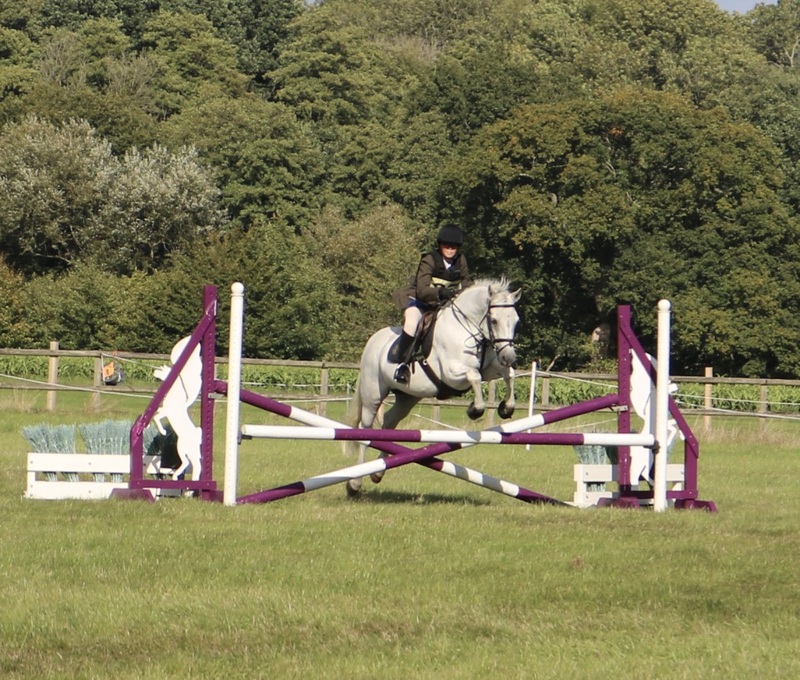 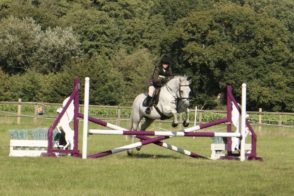 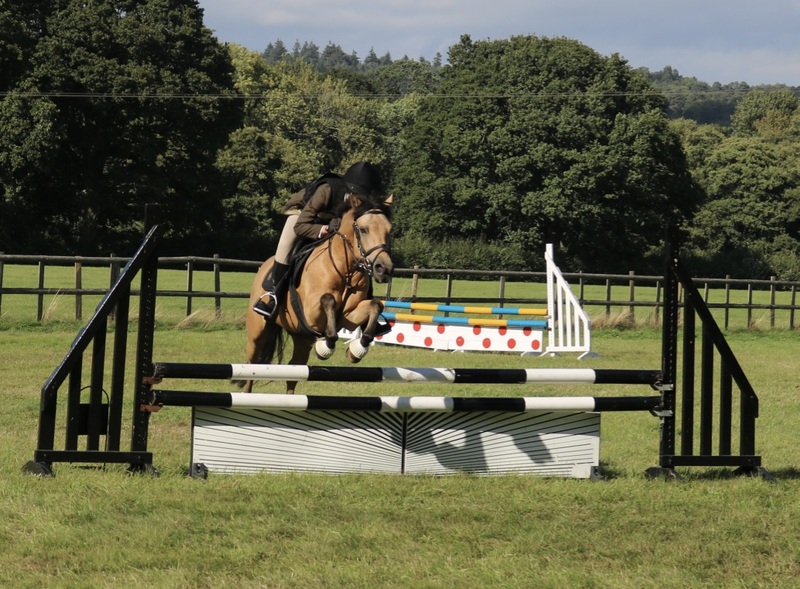 With personal success for Lizzy and Albie who competed in their first one day event, and Paige and Rio for jumping fences he didn’t like last year without even flinching at them he has certainly grown in confidence.